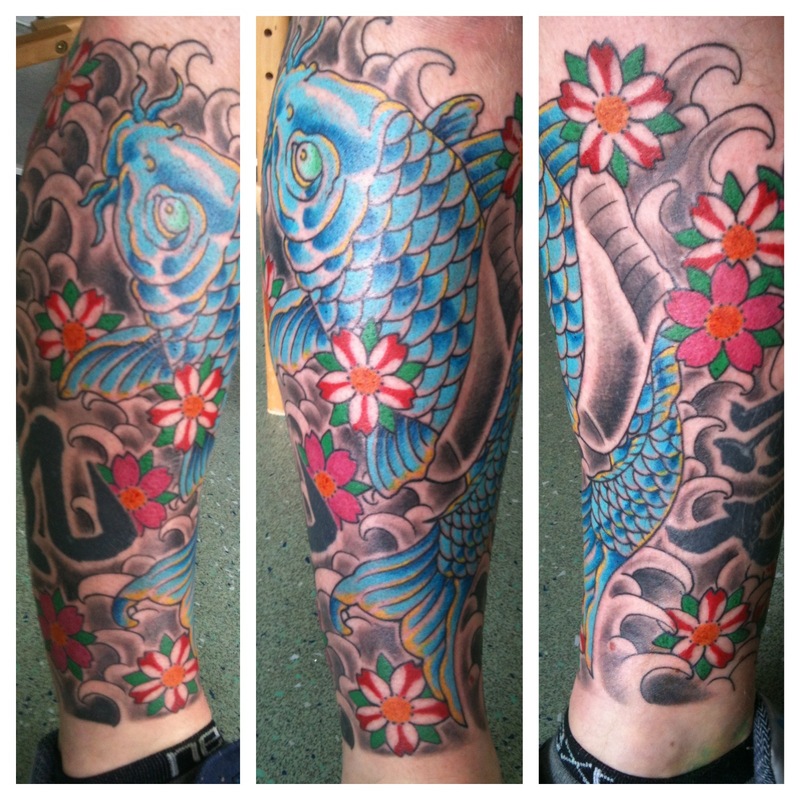 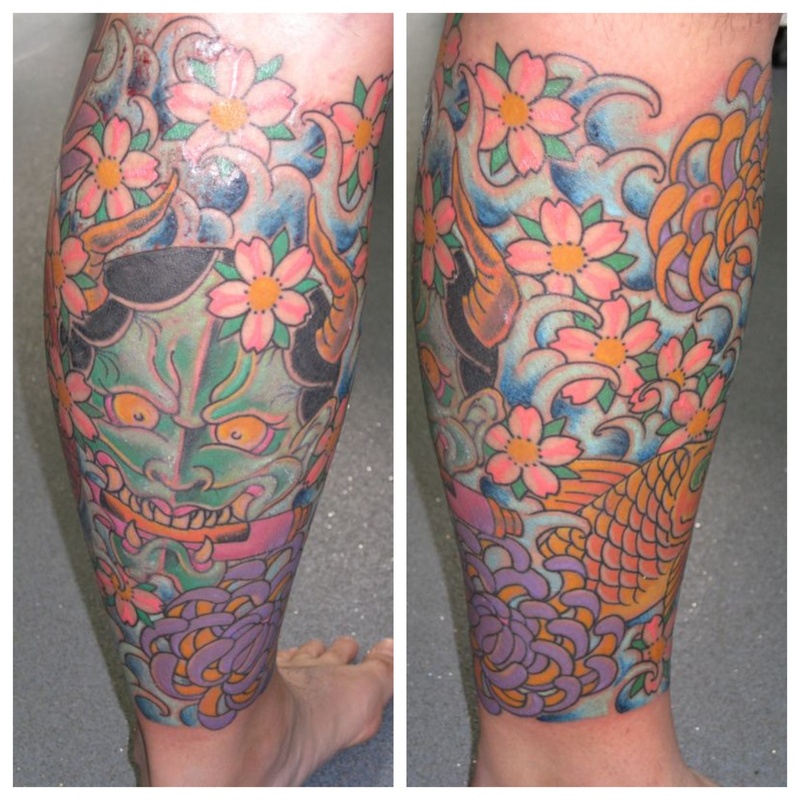 Irish Street Tattoo Japanese leg, Hannya and Koi Carp. 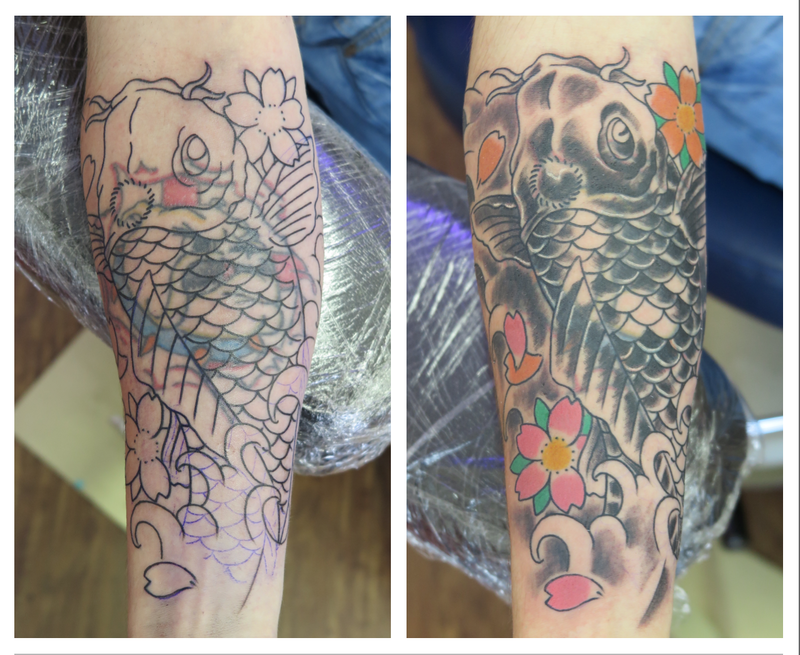 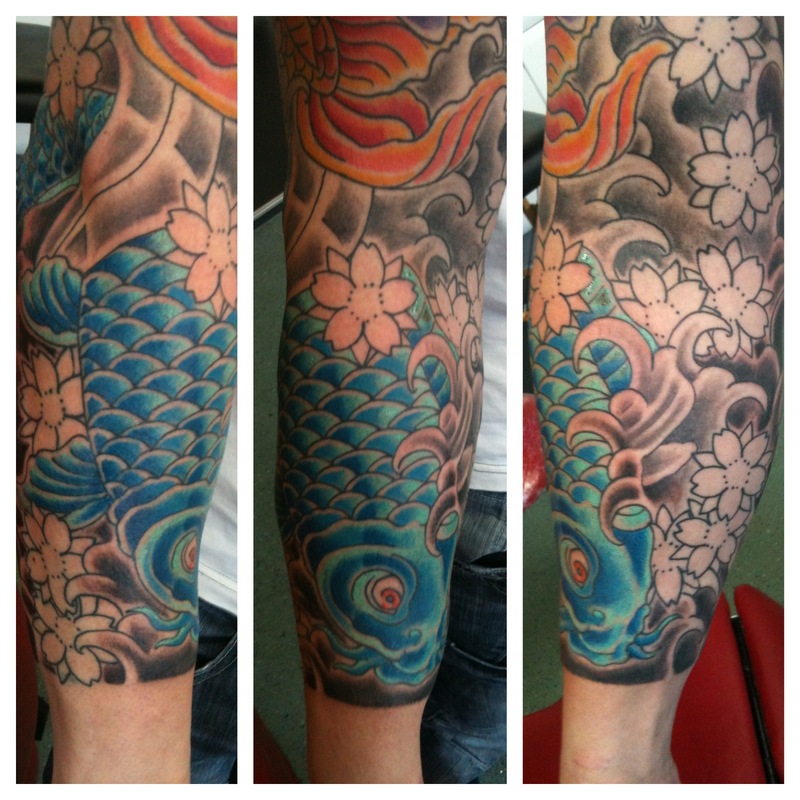 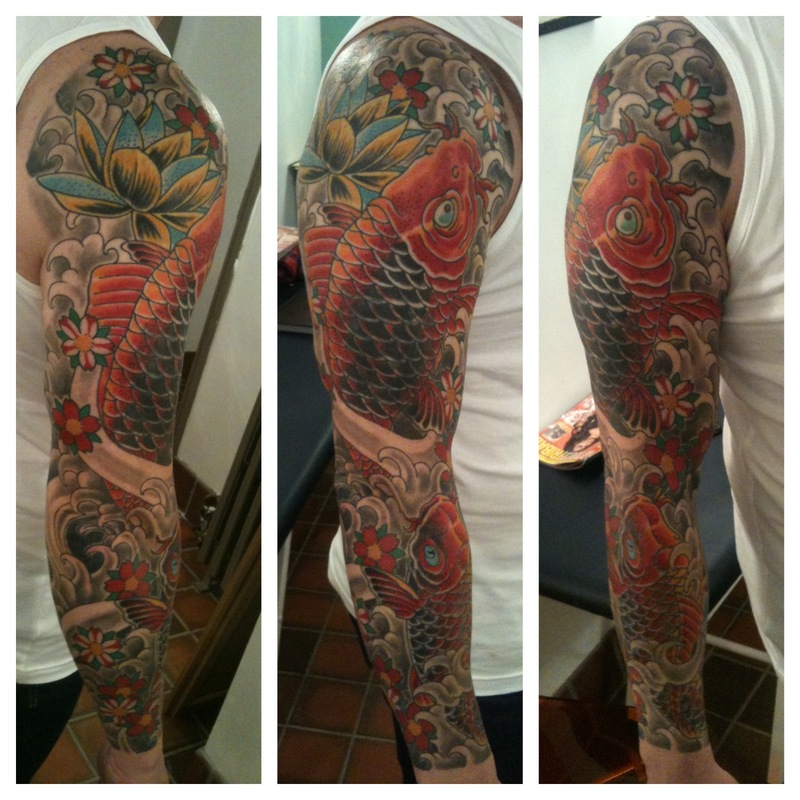 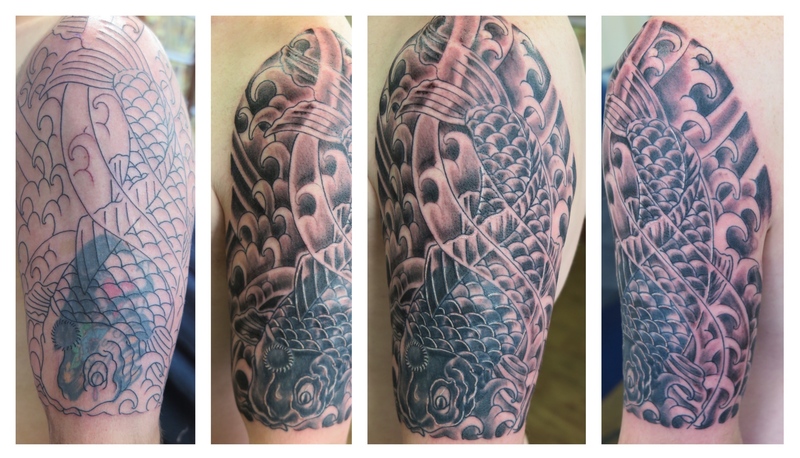 Irish Street Tattoo Koi carp sleeve. 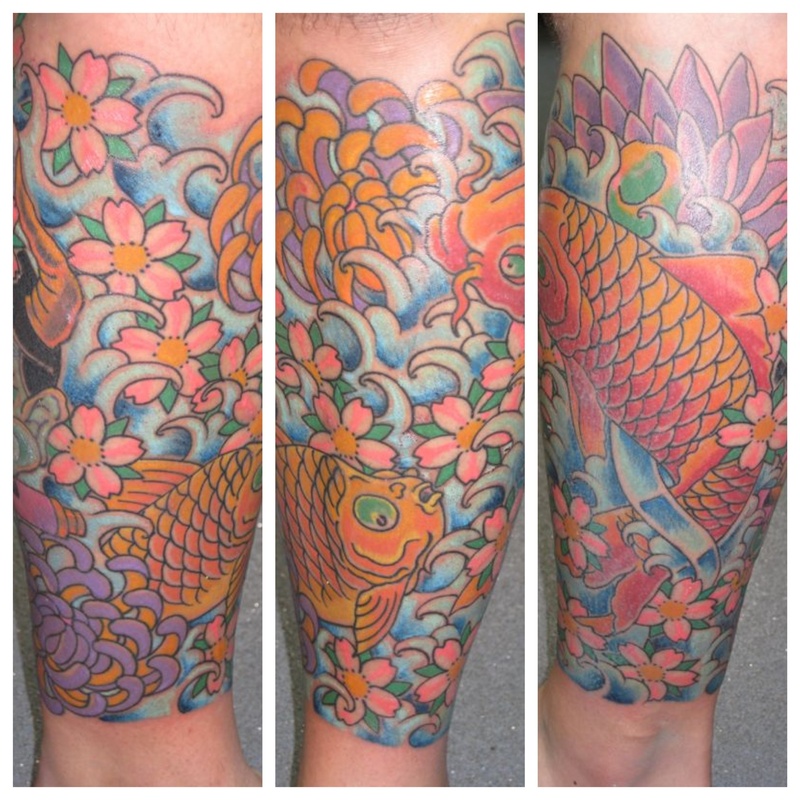 Irish Street Tattoo Koi carp leg.